The holiday season is officially here! So, if we don’t see you ahead of time, we want to wish you Happy Holidays and a wonderful New Year! Now for the last time in 2018, let’s get to our highlights from the last month. ASL worked with Footlocker’s brand Six:02. 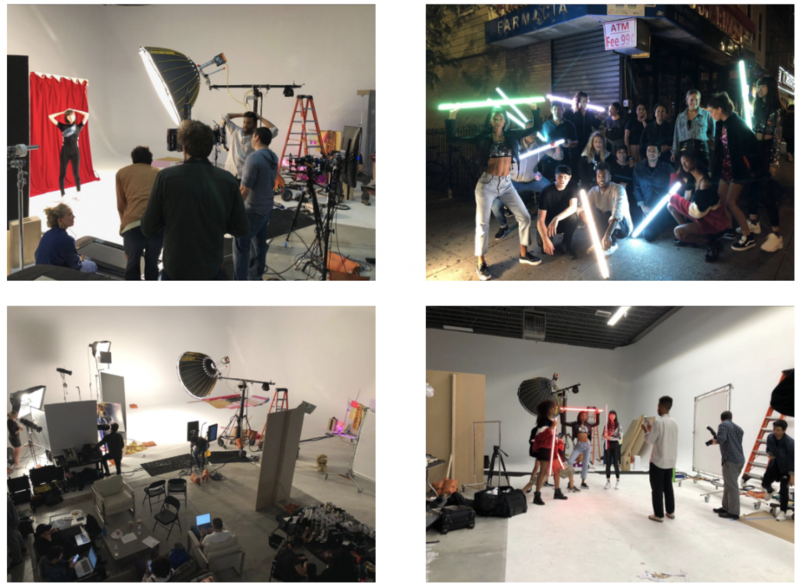 We headed to GUM Studios in Brooklyn for a fashion shoot with the shoe and clothing powerhouse. Our crew created several different environments inside and outside of the studio to showcase the latest looks for the holiday season: the line’s theme being, ‘Workout, Go Out and Hangout’. From the technical end, we worked with the Briese Focus 140 light to produce magnificently soft shadows. Using the Alexa Mini camera offered us the flexibility to shoot on a Healix gimbal, as well as a tripod. To top it all off, we brought in Astera lights, which proved useful outside and also as props! Check out the video by clicking the picture above. This November, we headed down the turnpike to the Jersey Shore for a shoot at The Wetlands Institute. The Stone Harbor environmental organization promotes appreciation, understanding, and stewardship of coastal and wetland ecosystems through programs in research, conservation, and education. We filmed two-camera video interviews and B-roll for their 50-year anniversary. The video will highlight the history of the Wetlands Institute and ask their donors to help them reach their endowment goal of $3.5 million. 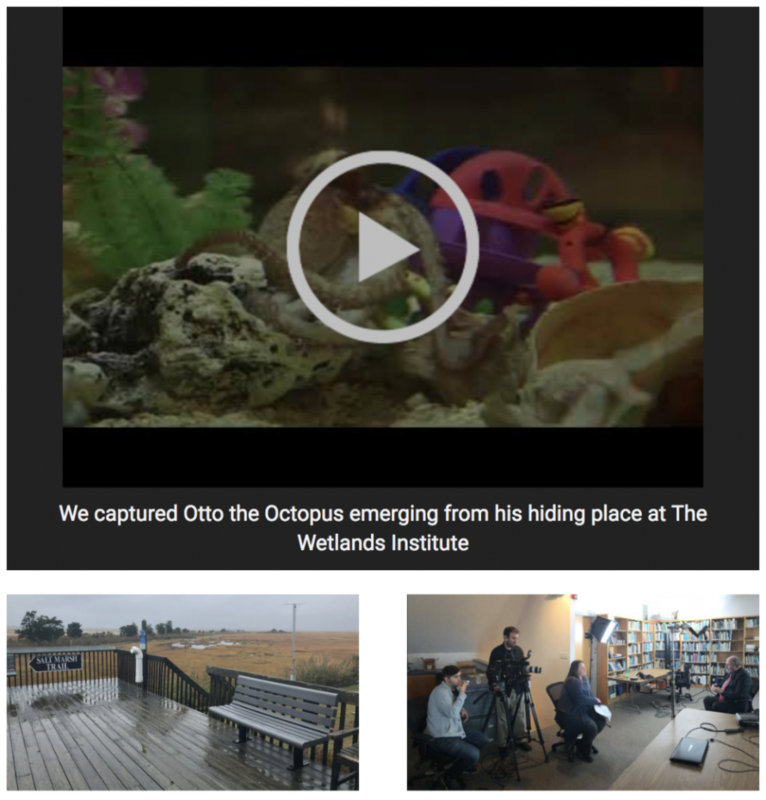 The Wetlands Institute is a fantastic place to donate funds and we can’t wait to finish up the video for this important organization. 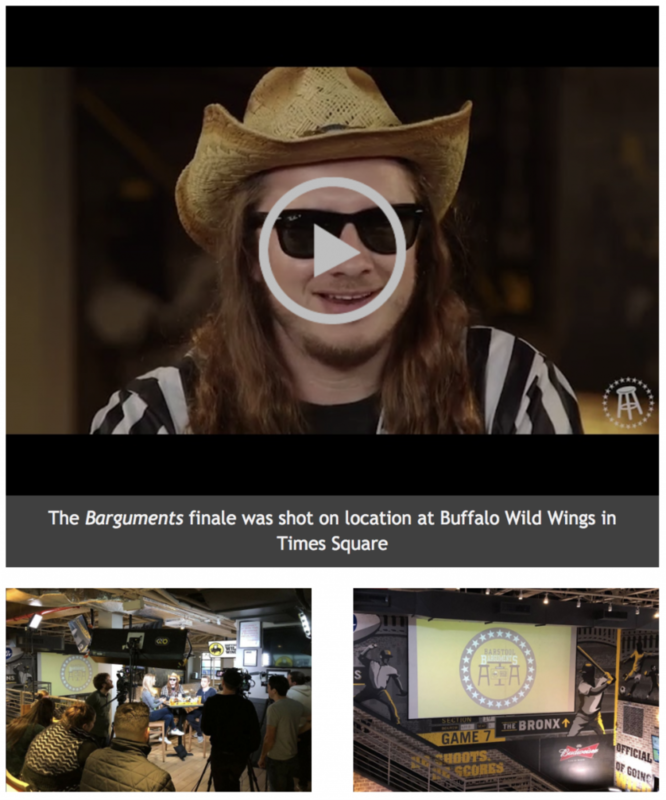 Last month we told you how we were helping Barstool Sports bring back their Barguments series. The bar argument extravaganza moved into the final round as we filmed the finale at Buffalo Wild Wings in Times Square. The final four contestants were Barstool regulars lead by El Presidente himself. We provided three cameras, audio and lighting for the on-location shoot. The results made for some very funny “barguments”. We’re not going to spoil the results, so just see for yourself in the video above! 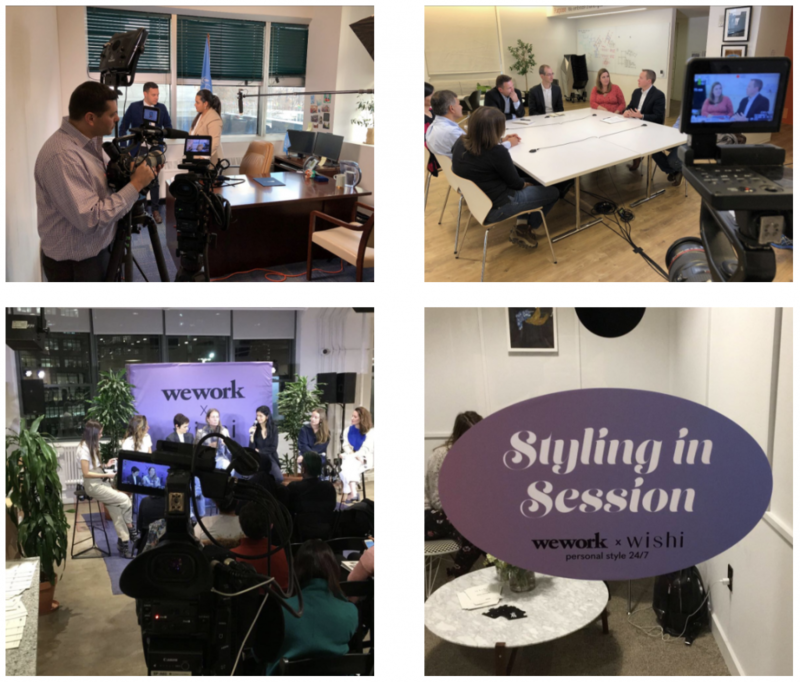 Other highlights from last month include video interviews with the UN’s Secretary General’s Envoy on Youth, event coverage with WeWork and WISHI and a three-camera panel discussion at the architecture firm, Thornton Tomasetti. Stay tuned next month to hear about our testimonial video interviews in Hoboken and conference coverage of RSM in Houston, among many other projects.